For the past 39 years, BeauSoleil avec Michael Doucet has been making some of the most potent and popular Cajun music on the planet. 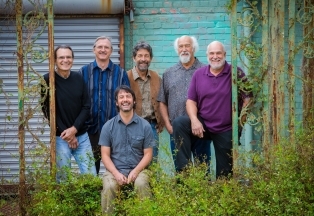 Born out of the rich Acadian ancestry of its members, and created and driven by bandleader Michael Doucet’s spellbinding fiddle playing and soulful vocals, BeauSoleil is notorious for bringing even the most staid audience to its feet. BeauSoleil’s distinctive sound derives from the distilled spirits of New Orleands jazz, blues rock, folk, swamp pop, Zydeco, country and bluegrass, captivating listeners from the Jazz and Heritage Festival in New Orleans, to Carnegie Hall, then all the way across the pond to Richard Thompson’s Meltdown Festival in England.